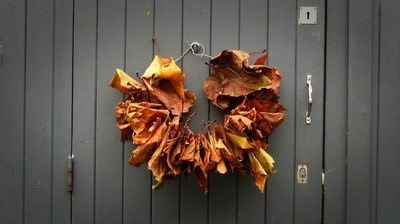 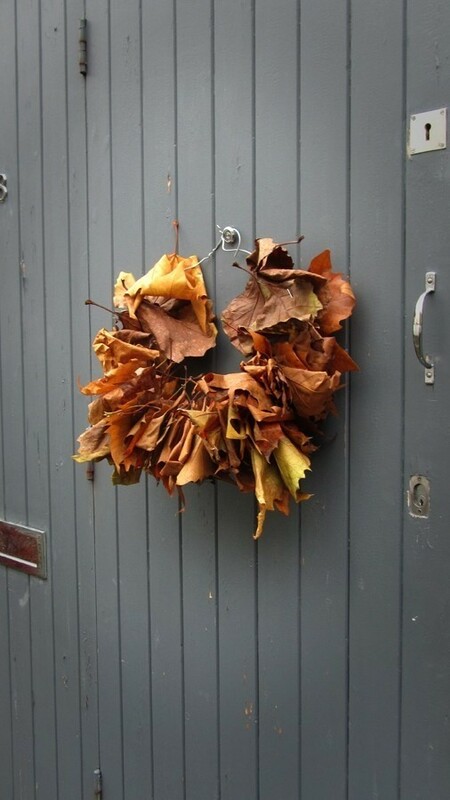 Perfect for Halloween, make your home all Autumnal with a leaf wreath. 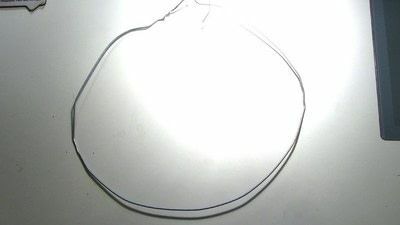 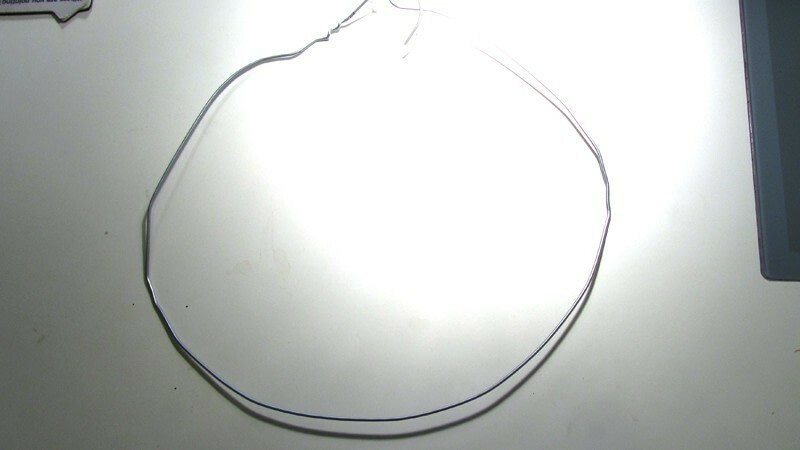 Bend a wire coat hanger in to a hoop. 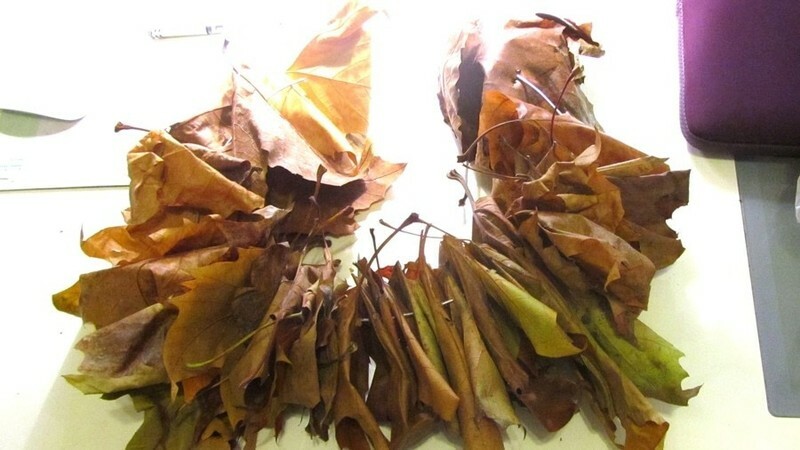 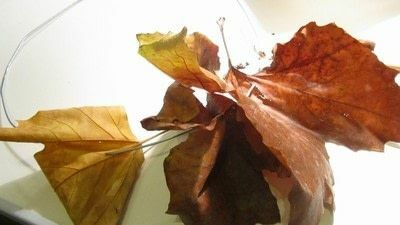 Fold the leaves in half and thread on to the wire, through the top part of the leaf. 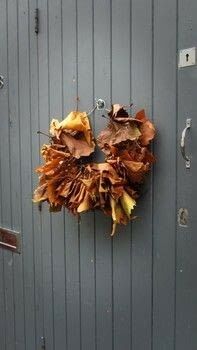 Fill the wreath up... you will need a lot of leaves.